WWE T-Shirt's have gone vintage, yup WWE have released a whole new range dedicated to giving fans that classic vintage feel, the ones I've selected this week, 'The Boss' Sasha Banks and the returning Seth Rollins, both equally stylish and equally brilliant. Available in Sizes - S to 2XL. Still think Dean Ambrose capturing his first WWE World Heavyweight Championship at Money in the Bank was a dream? Commemorating his Money In The Bank cash in is this 15 x 17 Photo Frame thats Limited Edition, Contains actual piece of used ring canvas from Money In The Bank 2016. Looking at TNA, they have released some new accessories. Do you have fond memories of TNA when it was in the Asylum and you think the first volume didn't have everything you wanted well Volume 2 has been issued. This takes you back to where it all started featuring 25 complete matches. Relive some of the best of TNA's early days from the Asylum Years from 2002 through 2004, including AJ Styles, CM Punk, Jeff Hardy, Jerry Lynn, Raven, Sting, Jeff Jarrett, Eric Young, Abyss and many more! Are you missing seeing Velvet Sky on your TV, well TNA have issued an Exclusive Autographed Limited Edition 2016 Knockouts Calendar Cover 18"x24" " Poster and each poster is shipped with a Certificate of Authenticity. Since opening in November 2014, GPWA has quickly established itself as a fantastic pro wrestling training facility with a team of coaches from British Wrestling's finest including Wolfgang, Jack Jester, Lionheart, BT Gunn and Red Lightning. 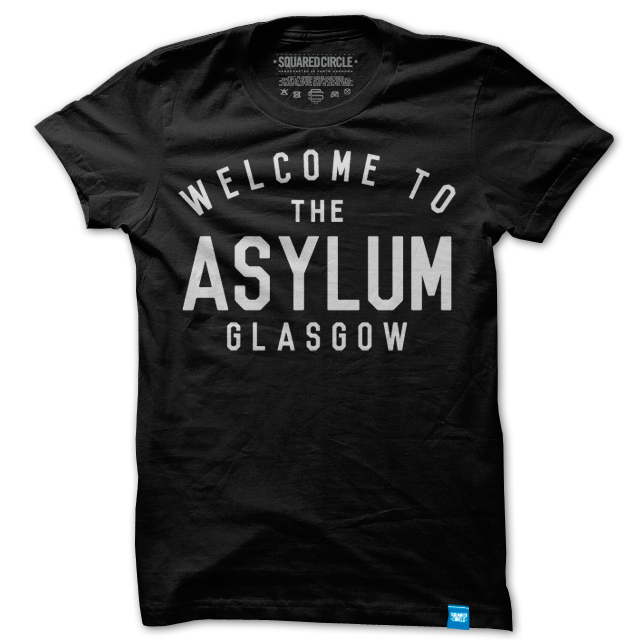 Squared Circle are a sponsor of the training facility to release their official t-shirt. Available is sizes - S to 4XL. Next up I wanted to look at Into Absence. 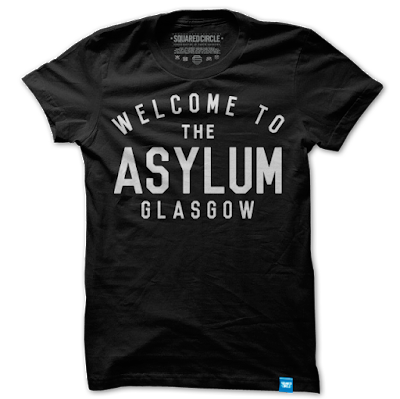 They are Glasgow’s latest alternative clothing brand. A company that was started by three friends who grew tired of seeing the same mundane threads on clothing hangers across the city so sought to bring their own unique touch to what’s currently on the market. The styles they bring are fantastic, definitely unique and brilliantly styled. Available in Sizes - S to XL. SPLX Wrestling has released their new Summer range, and here is a small selection of their exciting new wrestling styles. So that was this week's extended Merch Table, hope you enjoy the weekend I was @craighermit and I’ll be back next week.